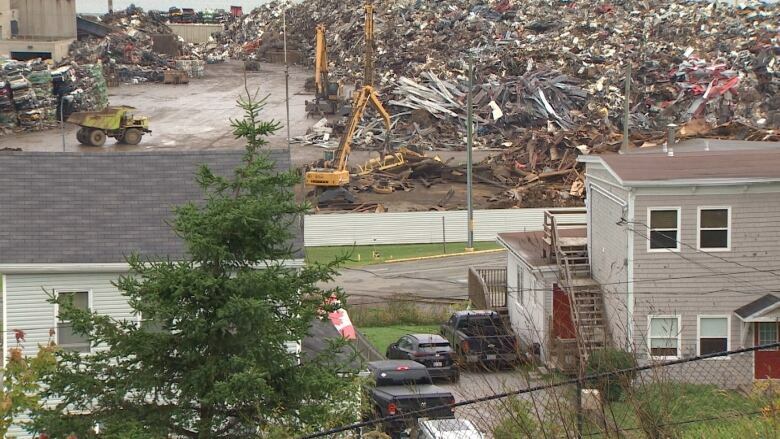 Residents living along the lower west side of Saint John were shaken awake Friday by another explosion at the American Iron and Metal scrap yard down at the harbour. 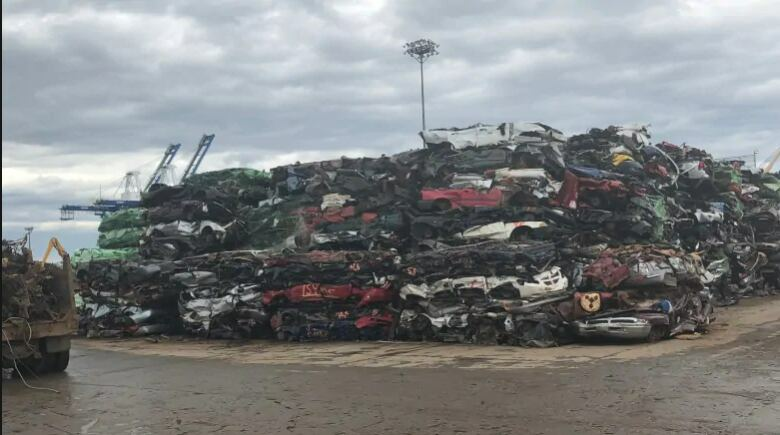 Residents on the lower west side of Saint John were shaken awake Friday by another explosion at the American Iron and Metal scrap yard at the edge of the harbour. Andrew Miller was getting out of bed shortly before 7:Publish30 a.m. when he heard the "shocking thud." "It really did sound like somebody had run into my house with a truck or a car," he said. "The window rattled and the whole house shook. It was very seismic." AIM's recycling operation along Saint John Harbour was closed briefly last year after numerous explosions. The Environment Department allowed the yard to reopen Dec. 7 for 90 days after the company came up with a plan to address the problem. The AIM facility experienced an explosion at 7:27 am and they have advised local authorities including the Province of NBr.who have established operating standards for the facility. Please report any concerns to the Department of Environment and Local Government at 658-2558. Miller said this was the third time he experienced an explosion like the one Friday. He wants the explosions to stop, especially if they're causing harm to the environment. "I don't mind industry going on in the port. … This isn't really a port, this is a very large scrap-metal processing plant." 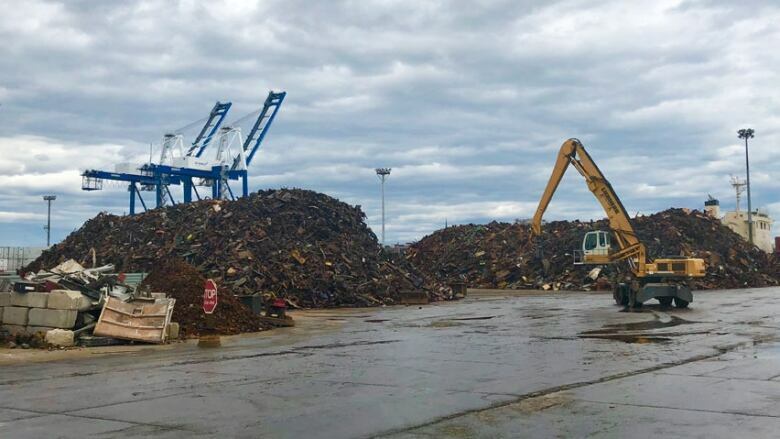 Ann Marcotte, environmental director with AIM Saint John, said the noise was caused by a "contained, single burst of pressure following the shredding of some material." She blamed suppliers for sending the wrong materials to the yard. The operation was closed down and then started up again with the approval of the provincial Environment Department and the Saint John Fire Department, she said. Marcotte said emergency response vehicles were not required at the site. The equipment is designed to withstand the bursts of pressure, which are not a threat to the public, she said. Marcotte said AIM is trying to limit the blasts and educating suppliers so they won't include problem materials. "Unfortunately, even if strict protocols are in place at the facility some potentially explosive components are concealed and unintentionally shredded," she said. Since June 2017, more than 35 blasts have occurred at the AIM yard, according to government records. Vern Lanteigne, who has lived in the area all his life, said he's witnessed many transitions at the port over the years, but the AIM noise and dust make the area unlivable. "This by far exceeds in noise and pollution anything I've ever seen down here," he said. And he's especially concerned since he doesn't know what kind of pollution the explosions send into the air. Lanteigne said the problem affects people's daily lives, including their physical and psychological well-being. "It was livable before. You know, you could see the city, you could enjoy the city. I had one of the best views of the city in Saint John, but that's all changed now." As has happened in the past, Lanteigne was asleep when the explosion happened. His said home shook and the walls inside started to crack. "It's unbelievable that this could go on in the city of Saint John," he said. Lanteigne said he's spoken to the Environment Department and written a letter to the government, which he said needs to find a different location for the recycler. He said it should be in an industrial park, far from residential areas. "We still have explosions, the dust is still an issue, we still don't know what's in the dust or what's going into our harbour for that matter," Lanteigne said. The plant shut down briefly after the blast Friday morning but operations resumed following a fire department inspection. Past explosions at the American Iron and Metal site have been attributed to propane gas or other pressurized gas containers arriving unseen in the scrap metal. In a statement Friday afternoon, the Environment Department said it is reviewing the incident and will ensure a proper inspection program is put in place. There have been three explosions at the site since Jan. 1. On Facebook, Saint John Mayor Don Darling said the city has no jurisidction in the matter. For action, the city has to rely on Port Saint John, which leases the land to AIM, and the provincial goverment, which grants permission to operate. The mayor said the city has had meetings with government, AIM and citizen groups "to find a reasonable path forward." "We will continue to call for real change as the AIM approval to operate needs to be renewed in June," he said. "The current state is unacceptable to me and many citizens." Coun. John MacKenzie, who lives in the north end, said he felt the explosion for the first time this morning. "I felt this loud bang and the house just shook," he said. "It felt like somebody banged into the house with a truck or something." He described the blast as "quite an experience" and said he couldn't imagine living on the lower west side. He said something needs to be done to help people in that area improve their quality of life. "I'm not sure that's an appropriate spot for it to be honest with you," he said of the scrap yard.